Taking care of my skin is extremely important to me. Not only does taking care of my skin help me to look my best, it also helps me to feel my best. A clear, healthy, glowing complexion is one important aspect of having self-confidence. It’s the first thing people see, after all! My goal is, of course, to always be confident in my own skin and not have to rely on heavy foundation/concealer/cover-up/whatever to hide my face. That’s just not what I’m about! So in this post I’m sharing 7 skin care products you need to add to your daily routine. These are my favorite products that I use on a daily basis to help me to achieve that dewy, sun-kissed glow – in a natural way! Let me just preface with this: mascara is my thing! If I were stranded on an island and could only bring one makeup product with me, I’d bring my mascara. Long lashes are powerful, ladies. That being said, I greatly dislike the process of removing my mascara. Until I found jojoba oil, however. At first I was afraid of putting straight oil on my face since my skin is naturally on the oily side and has a tendency to break out. However, I learned that jojoba oil is non-comedogenic because of how closely it mimics human sebum (natural oil produced by skin). It actually helps to control acne by signaling to the sebaceous glands to stop overproducing sebum, thus decreasing the chances of the pores getting clogged with excess oil. Besides help to remove makeup and control acne, jojoba oil also helps to keep the skin hydrated by forming a protective barrier on the top layer of skin thereby trapping in moisture. 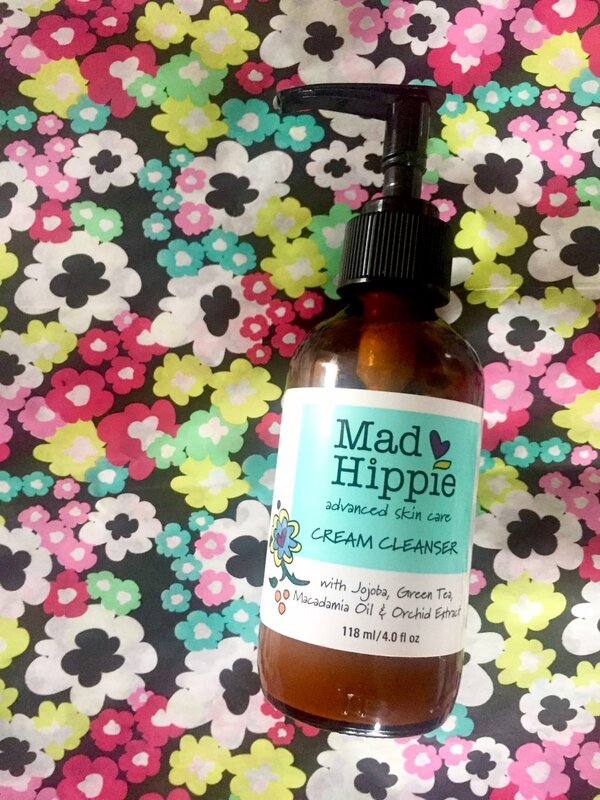 Using jojoba oil as a makeup remover effectively removed all traces of makeup and leaves my face feeling soft. I’ll never use another makeup remover again! To this day I am still in awe of how soft this product leaves my face feeling. The secret behind how this mask softens the skin so well is the kaolin. Kaolin is a soft, earthy white clay mineral that is environmentally safe to use in cosmetics and skincare products. The REDEFINE Daily Cleansing Mask will draw any and all impurities from your pores without robbing your skin of essential moisture. I use it both morning and night! The Burt’s Bees Rosewater Toner is light, refreshing, and the scent is like a garden of roses – literally. While there are many other toners that I have used and loved, this one made the cut because it is perfect for any skin type and does not dry out the skin at all. Two words come to mind every time I apply this serum: smooth and silky! Not only does this serum feel great, it can give you real results. The unprecedented 16% vitamin C, 2% vitamin E, and caffeic acid are all excellent antioxidants that help scavenge UV-induced free radicals as well as stimulate collagen production in the skin. I apply this serum every morning underneath of my moisturizer to have bright, smooth skin all day long. I have two main priorities when choosing a moisturizer to use during the day: one, of course, is to protect against sun damage, and the second is to moisturize without clogging my pores. Neutrogena’s oil-free moisture accomplishes both of these tasks, which is why it is one of my favorite daytime moisturizers. According to Dr. Joshua Zeichner, M.D., assistant professor of dermatology at Mount Sinai Hospital in New York City, SPF 15 block 94% of the sun’s ultraviolet rays, which is why I use this moisturizer for every day use when I’m out and about. However, if I’m planning to hit the beach for the day I’ll bump up to a moisturizer with SPF 30, which blocks 97% of the sun’s UV rays. After months of dealing with red, irritated, peeling skin from my prescription strength retinoid (tretinoin 0.05%) I had pretty much dismissed all retinoid products, despite their reputation as being the gold standard of anti-aging skincare. But after my success with the FutureDerm CE Caffeic Silk Serum, I was excited to try the FutureDerm Time Release Retinol 0.5. I’m happy to say that I’ve had success with this retinol product! It is gentle and does not irritate my skin. While I’m lucky enough to not have to deal with wrinkles yet, I am using this product nightly to help delay the development of wrinkles and other signs of aging. I cannot even begin to describe how much time (and money!) I’ve spent trying to find an adequate eye cream. Although I am only in my twenties, I wanted to start using an eye cream to prevent signs of aging and minimize the crow’s feet that were already starting to creep up around my eyes. After my first use of the R+F multifunction eye cream, I knew my search was over. It was the first eye cream that did not leave the skin surrounding my eyes irritated, red, and dry. Rather, it was very smooth, moisturizing, and soothing. Within about a month of nightly use the lines around my eyes were less noticeable. It has even helped to reduce puffiness and dark circles that I tend to get after a few too many nights with not enough sleep! All from my own personal use and experience, those are the 7 skin care products that I recommend to add to your daily routine. Do you have any go-to products in your daily skin care routine? Leave me a comment below! Do You Know The Skincare Benefits of Purslane?